Ladies and gentlemen, it has been far far too long since we’ve been able to bring you a review. Sniff and I have been busy with the holiday’s and work and whatnot and we’ve been using the other social media platforms to at least prove we’re still tasting and writing reviews. It’s a new year and we’re also starting to branch out into new types of liquors. Keep an eye out and let us know what you think. On with the review! NOSE: Sherry. This is an amazing sherry bomb. The mixture of the 3 sherry casks definitely show in the nose. Along with that, the telltale Dalmore orange peel. It’s like walking into a chocolate store, walking passed the chocolate covered raisins and dates, then looking into the back room and finding that it’s actually a front, and they’re selling sherry out the backdoor to whomever wants it. PALATE: The spices arrive and coat the tongue and then the orange-ish tangerine sweetness enters the room, but leaves with a tartness, like accidentally eating a large portion of pith. Like other Dalmore, the christmas spices and cake-like breadiness make this dram incredibly delicious and dessert-like. Vanilla and caramel icing drizzled on a mocha coffee cake come to mind, or possibly just eating a sweet cake while visiting a coffee roaster. FINISH: The finish is a medium length, drying. You’re left with a hint of vanilla, orange and white pepper. Dalmore was the first scotch I ever tried. The sweetness was inviting and welcoming for someone who hadn’t tried a Scotch whisky before. 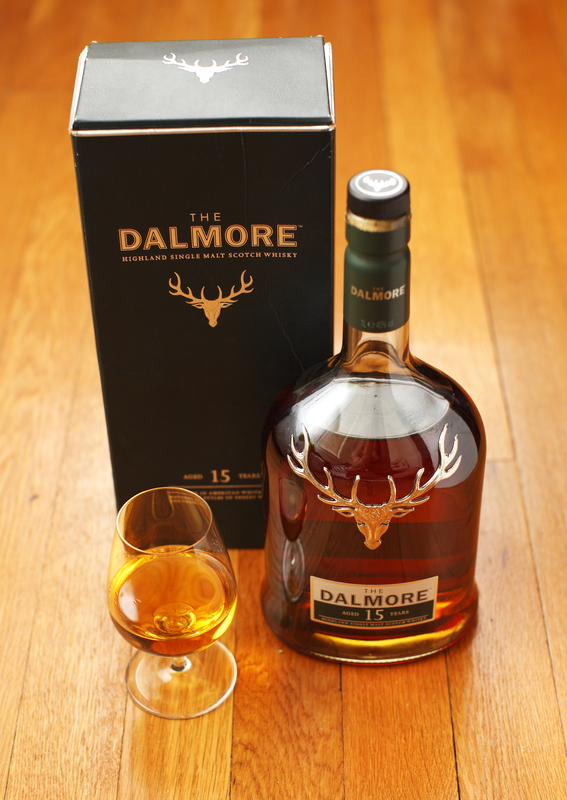 The Dalmore 12 is a good entry level scotch and the 15 year old is a nice continuation if not a predictable extension.